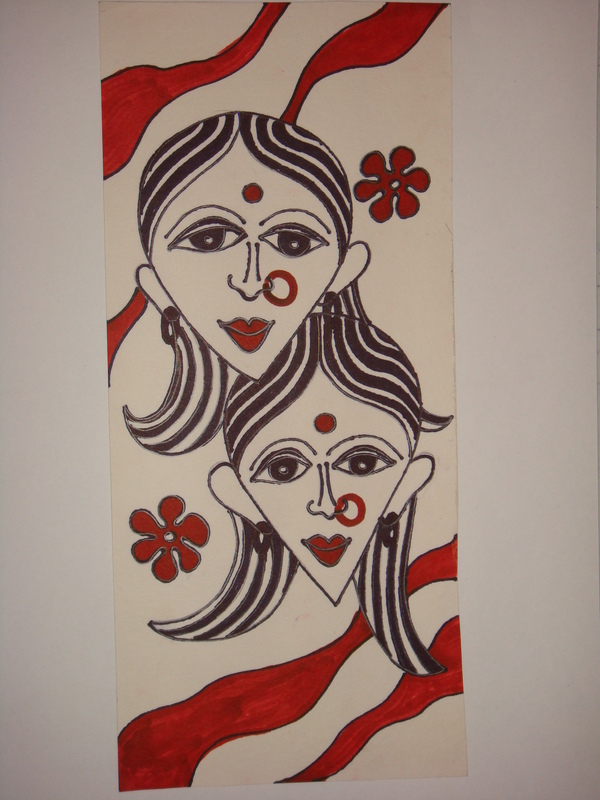 Zen doodle couple sketch using Black pens and little use of red 🙂 making it special …depicting love. Art provide a means to express the imagination in non-grammatic ways that are not tied to the formality of spoken or written language. Unlike words, which come in sequences and each of which have a definite meaning, art provides a range of forms, symbols and ideas with meanings that are maleable. Though, I m not the master but I sure do love to draw n paint! There’s something about the act of drawing n painting that’s so immediate, intentional and strong. When I paint, I frequently have only a very vague idea or sometimes — no idea at all — of what I am searching for in the new work. I have used vibrant poster colours on canvas and have these abstracts on it. 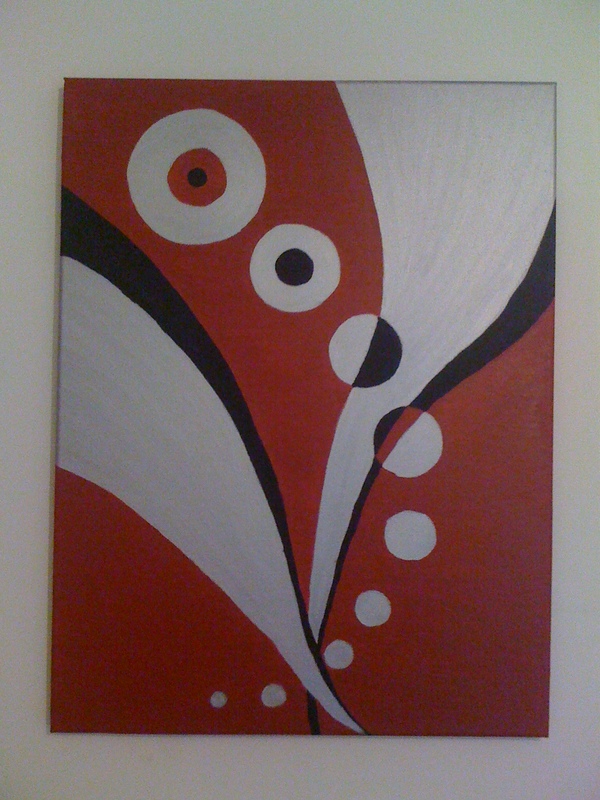 Some of my old abstract work , when I was doing my Master’s. 🙂 From my college days i got fascinated with Abstract form of art. Artists need to let their imagination run wild while creating the abstract paintings. The artist is free to play around with different shapes and colors to his heart’s content. However, the modern abstract paintings do need to be colored in a vivid manner to reflect the essence of the painting to the viewer. Abstract Art is a name which corresponded with representational, can also be called as non-representational. Its characteristics are lacking of description, and using emotional way to show concept and paint, which basically belonged to Expressionism, and first found in Kandinsky’s work. It was formed under the influence of a variety of anti-art, particularly improved by Fauvism and Cubism.